Cuba is fast becoming the must-visit place in the Caribbean. Aside from its rich culture and amazing street food, there are many things you can do in Cuba. However, if you do decide to visit Cuba, be aware that the country has its way of paying for goods and services. Like most tourists, you might get confused with how you shop over there. 1.1.1 How do you tell them apart? 1.2.1 What kinds of products and services are paid for with the CUC? 1.3.1 Where can you find a CADECA? 1.4.1 Which foreign currencies can be exchanged to Cuban Currency? If you’re confused over the fact that today Cuba has two currencies, you’re not the only one. Even local Cubans get confused about their own currencies! Cuba’s two currencies are the Peso and the Convertible Peso. The Peso is widely referred to as the national currency and is abbreviated as CUP. The Convertible Peso is also called the “Dollar” and is abbreviated as CUC. Most of the confusion between the two currencies comes from the fact that the Cuban government controls the prices of products paid with CUP. Fruits and vegetables may appear to be bargain-basement cheap. Cubans who work for the government receive both currencies. The CUP accounts for the bulk of their salary. The CUC accounts for a small portion of their monthly pay, usually the performance bonus. CUC coins feature an octagon within its round design. However, you might get confuse the CUP one peso coin for a CUC because it also integrates an octagon shape. Another key difference is that while the CUP bills feature portraits, CUC money showcases Cuban monuments. The CUC is more valuable than the CUP but is not traded in the foreign market. At the current exchange rate, there is 25 CUP per unit of CUC. Thus, you can say that the CUC has 25 times greater value than the CUP. What kinds of products and services are paid for with the CUC? The CUC is primarily used at hotels, retail stores, bars and restaurants as well as local cafeterias. You also pay for taxi and car rental services with the CUC. Imported, luxury goods and high-end services specifically those preferred by tourists are priced and paid for with CUC. Basic commodities, staple goods and daily necessities that are bought by local Cubans are paid for in CUP. Although monetary authorities and the government have floated the idea of having only a single currency, both currencies still exist. However, since 2014, more merchant shops have accepted both currencies as a mode of payment. Tourists are best advised to convert most of their money into CUC. You should have a small amount of CUP which you can use to cover public transportation and purchases at local markets. The CUC and CUP are denominated as follows: 1, 2, 3, 5, 10, 20, 50 and 100. However, the CUC has larger denominations available: 250, 500 and 1,000 Peso bills. If you want to exchange foreign currency for Cuban currency look for government-authorized money changer offices called the CADECA. Where can you find a CADECA? CADECA offices are situated in popular tourist hangouts such as shopping centres, airports, hotels, and resorts. Of course, you can exchange your foreign currency at the local banks and at the airport. There are also alternative ways to exchange currency outside the CADECA and banking system. If you are on the way to a CADECA, you might come across persons who can give you a better rate for your foreign currency. For example, if a CADECA and a bank offer you 90 CUC for $100, these private exchange agents may offer you 93 to 96 CUC. You can also ask the concierge at the hotel or resort you are staying to help you exchange your money. The concierge will more than likely use these private exchange agents to convert your dollars to Cuban currency. Are they safe? Keep in mind that these individuals are not authorized by Cuba’s monetary authorities. They operate on their own. When dealing with these unregulated third parties, there is always the risk of being scammed. You cannot purchase the Cuban currency in any other country except Cuba. If you are planning to visit Cuba, bring the currency which has the best conversion rate. Which foreign currencies can be exchanged to Cuban Currency? The standard conversion rate for the United States Dollar is 1 CUC = 1 USD. However, the government pegs a 10% exchange rate fee only to the U.S. Dollar. For this reason, always stay on top of changes in the currency market. Here’s a tip: The Pound Sterling and the Euro have the best conversion rates. The Cuban government plans to have almost 1,000 ATMs installed in several popular destinations. For now, the majority of the machines are located at tourist hotspots. These include Holguin, Havana, Veradero and Santiago de Cuba. U.S. citizens are now allowed to use their credit cards in Cuba after political tensions between both countries have somewhat improved. You should be advised that many merchants may require you to submit supporting documents from the bank or institution that issued your credit card. Only VISA and MasterCard are accepted in Cuba. However, in 2015, Stonegate Bank disclosed that depositors can use their Debit MasterCard in Cuba. Be advised that for every credit card transaction, a surcharge of 5% will be added to your purchase. 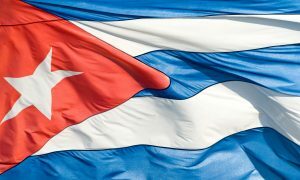 The Cuban government plans to invest in technology that will make credit card transactions at Point-of-Sale registers faster and more efficient. The Spanish colonial reales was the primary currency of Cuba in 1857. It was denominated in peso where each peso was valued at eight reales. From 1881 to 1960, the Peso was pegged to the U.S. Dollar at 1 = 1. However, the U.S. embargo of 1960, required Cuba to look for another currency partner. Thus, in 1960, the Peso was pegged to the Soviet Ruble. The breakup of the Soviet Union in 1991 led to the collapse of the Peso to 125 Pesos to 1 U.S. Dollar. In an effort to generate more investment, Cuba’s monetary authorities accepted the U.S. Dollar as payment. One year later, the government introduced the CUP. In 2004, the Cuban government removed the U.S. Dollar from currency circulation as a response to increased sanctions from the United States.